Ben Rosenblum is a jazz pianist and composer based in New York City. He’s a recent graduate of the Columbia University / Juilliard School of Music exchange program. His performances have garnered numerous awards including; ASCAP Young Jazz Composers award 2010, Downbeat Student Music Award for Best Original Song 2010, and Downbeat Student Music Award for Best Arrangement 2011. Ben’s performances include gigs with Bachiana Brasileira Orchestra at Lincoln Center (conducted by Joao Carlos Martins, featuring Dave Brubeck), a performance in Delhi, India, Masten Jazz Festival (Buffalo), Richmond Jazz Festival (Richmond), Mid-Atlantic Jazz Festival (Maryland), Lincoln Center Out of Doors Festival (Manhattan), DUMBO Arts Festival (Brooklyn), Musikfest (Bethlehem, PA) and Music Mountain Festival (Connecticut). He has also performed at Carnegie Hall, Dizzy's Club Coca-Cola, the Allen Room at Lincoln Center, Ryles Jazz Club, Webster Hall, Symphony Space, The Blue Note and a host of other venue’s throughout the northeast. Ben has performed extensively with such jazz luminaries as Curtis Lundy, Neal Smith, Winard Harper, Wayne Escoffery and Deborah Davis. He has also shared the stage with Houston Person, Jerry Dodgion, Warren Wolf, Eliot Zigmund, Clarence Penn, Craig Handy, Stacy Dillard, Chris Washburne, Dave Stryker, James Cammack, Ameen Saleem, Bob Nieske, Steve Nelson, Yasushi Nakamura, Essiet Essiet, TS Monk, Willie Williams, Patience Higgins, Josh Evans, Kenny Davis, Rogerio Boccato and to many others to name. 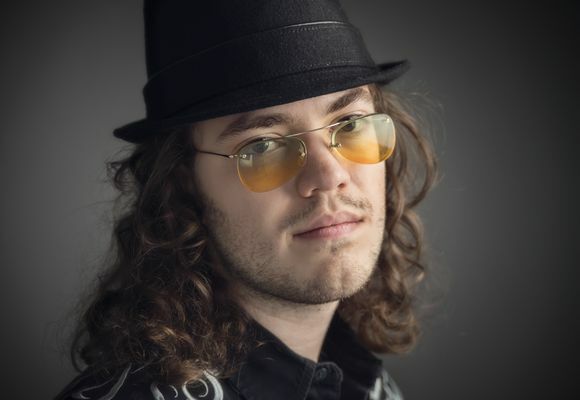 Ben was a finalist at the 2015 American Jazz Pianist Competition in Melbourne, Florida, and at the 2016 Jacksonville Jazz Piano Competition in Jacksonville, Florida. He is the founder of the Columbia Jazz House, a student-run jazz advocacy group at Columbia University. The group promotes jazz on campus through concerts, educational workshops and jam sessions. On December 28th, 2015, the Columbia Jazz House was featured in a New York Times article, "Melodies Night and Day in This Columbia Dorm." In addition, Ben currently teaches ten private students in subjects ranging from beginner piano to advanced jazz improvisation. He enjoys arranging and working on original compositions. His first CD project will be released in 2017.